NanoRacks has been awarded the launch services and deployment contract for the Canadian CubeSat Project, a nationwide, smallsat development program that is sponsored by the Canadian Space Agency (CSA). The project provides funding to post-secondary institutions in Canada as part of a challenge to design, build, launch, and operate their own satellites which will be deployed from the International Space Station (ISS). The contract is for the launch and deployment of up to 15 cubesats, totaling 33U of deployment volume, representing each Canadian province and territory. CSA and NanoRacks will provide expert guidance to the professors and students to foster mission success and teach students about all aspects of launching a small spacecraft — from technology development to communicating their work to the public. 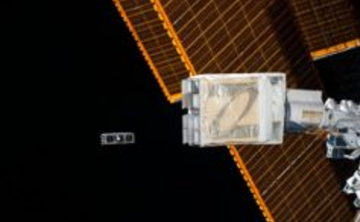 NanoRacks deployed the first-ever Canadian cubesat from the ISS, ExAlta-1 from the University of Alberta in May of 2017 as a part of the QB50 Mission. According to the Canadian government website, the Canadian CubeSat Project will provide professors in post-secondary institutions with an opportunity to engage their students in a real space mission. Through this unique hands-on experience, students will learn about science, technology, engineering and mathematics (STEM), stimulating their interest in STEM education and careers. This initiative falls under the CSA’s mandate to foster the continuing development of a critical mass of researchers and highly qualified people in Canada. NanoRacks Account Manager, Ajeeth Ibrahim, noted that this type of nationwide program emphasizes the company’s goal of increasing global access to space and enabling the space ecosystem to grow and the firm's association with CSA and the university teams will help to build a successful mission and create a meaningful experience for university students all across Canada.